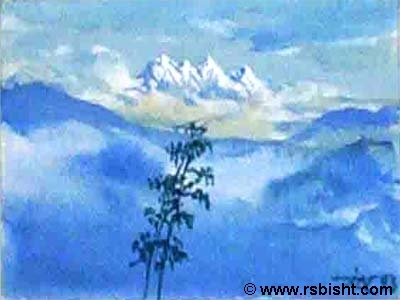 Prof. Ranbir Singh Bisht (1928-1998) was one of the most significant painters of the country. His artwork is on display in many private and public collections all over the world, including many galleries and museums. In the year 1991, he received the Padmashri award from the President of India for his extraordinary contribution to art. 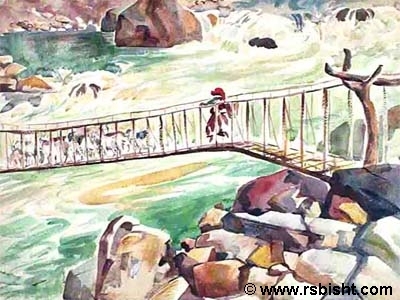 He translated his experiences and insights into colours and lines. His mastery over the medium he chose to work with was unparalleled. He was an artist as well as an evangelist of art. He was a faculty member and principal at College of Arts, Lucknow University. He also wrote several articles for journals and national dailies. Right from the early years of the 1960s he constantly developed and transformed as an artist. 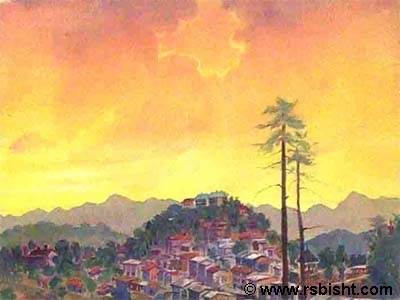 Starting as a significant landscape painter, he painted floods and devastations, night-scapes and flowering trees. 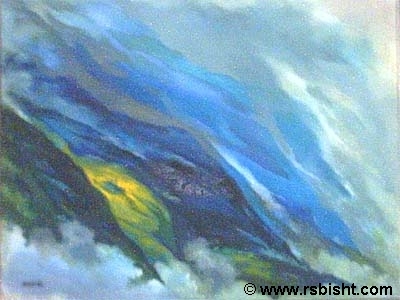 He experimented with semi-abstract colours on canvas, calling them Inscapes. The most memorable of these is the Blue Series. He is also known for his interventionist paintings. His masterly painting on alienated or unwanted children is a fine illustration to commitment to social issues. 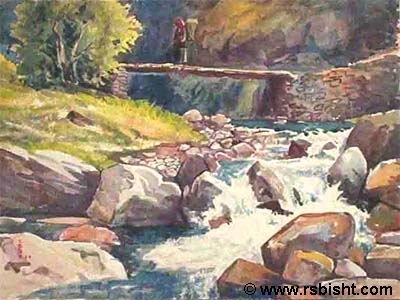 During the last few years of his life his paintings reflected the pain caused by terrorist acts. 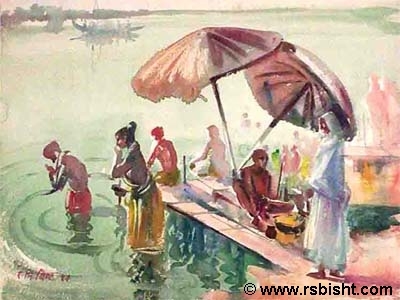 That process drove him to paint the many facets of Gandhi as an apostle of non-violence.